Aniline dyed suede split. European origin. Tone-on-tone through from top to bottom finishing. 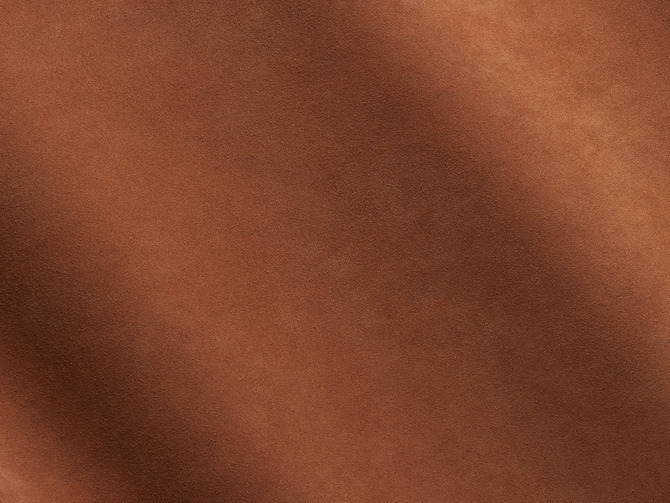 A soft and delicate effect, Dolce Suede is available in 24 colours. This page is aimed at describing the website's administrative procedures concerning the processing of its users' personal data, that will be processed lawfully, fairly, relevantly and not excessively. This statement is produced pursuant to Art. 13 of Legislative Decree no. 196/2003 - Personal Data Protection Code for those users who interact with the web services of Prodital Italia Srl, accessible by internet starting from the page: www.prodital.it, corresponding to the homepage of the official website of Prodital Italia Srl. This statement only concerns the website of Prodital Italia Srl and not other websites that the user may consult through the use of link. This statement is prompted by Recommendation no. 2/2001 implemented on 17 May 2001 by the European authorities for personal data protection, brought together in the Working Party established byArt. 29 of Directive no. 95/46/EC (download) in order to identify several minimum requisites for the collection of personal data online, and, in particular, the procedures, times and the nature of the information that data controllers must supply users when the latter connect to web pages, regardless of the purposes of connection. Data concerning identified or identifiable subjects can be processed following consultation of this website. The data controller who processes this data is Prodital Italia Srl, with offices in Via Leonardo Da Vinci, 34 - 36071 Tezze di Arzignano (VI). The processing operations connected to the web services of this website take place at the above-mentioned offices of Prodital Italia Srl nd are carried out only by technical personnel of the Department in charge of processing, or by persons in charge of occasional maintenance operations. Processing occurs by means of data storage in electronic archives at the company , whose access to the data is limited to maintenance procedures in compliance with the provisions in enclosure B. No data deriving from the web service shall be communicated or disseminated. The personal data supplied by the users who request dispatch of informative material (newsletters, information, catalogues, CD-ROMs, etc.) are used with the sole purpose of supplying or performing the service requested and are communicated to third parties only if necessary for this purpose (dispatching services of Prodital Italia Srl). The computer systems and software procedures in charge of the website's operation acquire, during their normal operation, some personal data (so-called log files) the transmission of which is implicit in the use of internet communication protocols. This information is not collected in order to be associated to identified data subjects, but due to its same nature can, by means of processing and integration with data held by third parties, allow users to be identified. This category includes the IP addresses or domain names of the computers used by the users to connect to the website, URI (Uniform Resource Identifier) form addresses of the resources requested, the time of the request, the method used to submit the request to the server, the size of the file obtained in reply, the numerical code indicating the status of the reply given by the server (done, error, etc.) and other parameters concerning the user's operating system and computer environment. These data are used with the sole purpose of obtaining anonymous statistical information concerning the use of the site and to check its correct operation. These data can be used to ascertain responsibility in the case of hypothetical computer crimes to the detriment of the website and can be communicated to the Judicial Authority, in the event that the latter explicitly requests such data. The optional, explicit and voluntary dispatching of electronic mail to the addresses indicated in this website entails the subsequent acquisition of the sender's address, necessary in order to reply to the requests, and also any other personal data contained in the message. Specific concise information concerning personal data shall be cited or visualised in the web pages dedicated to particular services on request. A cookie is a small text file that is stored by the computer when a website is visited by a user. The text stores information that the site is able to read in the moment in which it is seen at a later time. Some of these cookies are necessary to the site to work properly, while others are useful to the visitor because they can safely store such as user name or language settings. The advantage of having the cookies installed in your pc is that you no longer need to fill out the same information every time you want to access a site you visited before. First-party cookies are generated by the manager of the site the user is browsing. This category include technical and performance cookies. Technical cookies are used for the transmission of session identifiers (consisting of random numbers generated by the server), which allow a safe and efficient navigation of the website; Performance cookies are used for statistical purposes, for the detection of unique users, viewed or downloaded content etc. Google Analytics, for example, works using this type of cookies. Data are stored anonymously and used as an aggregate. To disable Google Analytics cookies, you can use a special tool made available by Google itself. To install, click here. Third-party cookies, such as that are generated by the "Like" button in Facebook, are generated and used by a different party from the manager of the site on which the user is browsing, based on agreements between the website owner and a third party. Some advertisers use these cookies to track your visits on sites where they offer their services. In the toolbar at the top of the browser, select "Tools" and then "Options." Then select the "Privacy" tab. Go to "Cronology Settings" and then click "Custom Settings". Uncheck "Accept cookies from sites" and save your preferences. Click on "Tools" then "Internet Options." Select the "Privacy" tab and choose the privacy level you want (move the slider up to block all cookies, or down to allow them all). Select "Settings" and then "Advanced Settings". Select "Content settings" under "Privacy". In "Cookies and Site Data" you can search and delete specific cookies. You will access to "Cookie and Site Data" where you can search and delete specific cookies. Select "Preferences" in the toolbar, and then select the panel "Security" in the following dialog box. In the "Accept Cookies" section you can specify if and when Safari should save cookies from websites. For more information click on the Help button (marked with a question mark). For more information on cookies that are stored on your computer, click on "Show Cookies." Excepting for that specified for navigation data above, the user is free to provide personal data contained in the request forms to Prodital Italia Srl or indicated in contacts with the Office to request the dispatching of informative material or other communications. Failing to submit personal data may make it impossible to process the request. It must be remembered that in some cases (not object of the ordinary administration of this website) the Authority can request information pursuant to Art. 157 of Legislative Decree no. 196/2003, for the purposes of checking personal data processing. In these cases reply is obligatory under penalty of a fine. Personal data are processed by computerised means for the time necessary to realise the purposes for which they were collected. Specific security measures are observed in order to prevent the loss of data, unlawful or incorrect use and unauthorised access. The subjects to whom the personal data refer have the right, at any time, to obtain confirmation as to whether such data exists and to know its content and source, check its accuracy or request its integration, updating or rectification (Art. 7 of Legislative Decree no. 196/2003.). Pursuant to the same article the Data Subject has the right to obtain the erasure, anonymisation or blocking of data that has been processed unlawfully, and also to object in any case to its processing, on legitimate grounds. Such requests shall be made to Prodital Italia Srl.